Written by Joya Tamrakar on April 15, 2019 . Posted in Blog. Initially, video calls were used simply to reduce travel costs. 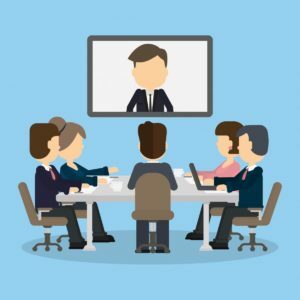 But today, the benefits of collaboration are growing the demand for video conferencing. Businesses find it easier to collaborate and work via video calls. More and more companies are switching from having communication through video calls rather than using emails and phone. Clients and team members can see face-to-face without having to travel to the same place and can participate and contribute their inputs during the meetings. According to Simplicity in the New World of Video Conferencing, between 2013 and 2015, VC use grew by 87%. Of the companies surveyed, 71% added more VC rooms during those two years. Predictions call for a conferencing services market growth rate of 4.1% between 2014 and 2021. Therefore, this shows that the market is in a phase of rapid and ongoing transition. Officense has the tools and resources you need to make your business grow and achieve your business goals! Officense video conferencing services provide the simplicity of setting up a conference at any time. Expanded hours are available to access video conference rooms 24/7. In addition, administrative and business services are also available per request. Book[https://www.officense.com/legal-professionals/] your next video conference at Officense today! Written by Joya Tamrakar on March 18, 2019 . Posted in Blog. Development in technology is changing our everyday lives. It is transforming the economy and the way we do business. In respect to that, there have been extensive changes in client demands, and employment practices. CPA’s are among the group of professions which have been impacted extensively by the innovation of new technologies. With the advanced technology, online tax services, online payment options, and increased competition, CPA’s are pressured to lower their service cost and fees. Working as a CPA is not easy at all, especially if you’re a solo practitioner or a small firm. Attracting new clients, staying up-to-date software and mobile devices, fighting deadlines, managing staff issues and managing cash flows and late payments, dealing with the incoming client calls, and scheduling appointments can become overwhelming for a CPA. According to Deloitte CEO Cathy Engelbart “As new tools augment our profession and streamline certain tasks, accountants will not only have to embrace new ways of working but take on expanded roles — as data analysts and other specialists,” Being a solo CPA or the owner, you need to accomplish several tasks from marketing your service to time management to hiring the right people to maintain a good relationship with your clients. “Artificial intelligence, cognitive computing, blockchain, and even more mainstream technologies like cloud computing and social media are transforming what accounting and finance professionals do — and what they need to know. Our very existence depends on our ability to learn the skills that will let us work side-by-side with the machines and do the things they cannot yet do.” CPA’s need to have a clear vision about how they want to run their business concerning the newer technology and what they need to accomplish to keep their clients happy. CPA’s need to come up with alternatives that add value to their service. So, they need to come up with features associated with technology that helps in reducing costs and increasing productivity. Overall, they should focus on how to enhance their service without having to lower their fees and at the same time build a strong relationship with their clients. “By automating parts of the business processes, AI grants accountants more time to serve as a strategic partner to clients and provide data-driven insights to inform business decisions,” said Jennifer Warawa, executive vice president of partners, accountants, and alliances at Sage. 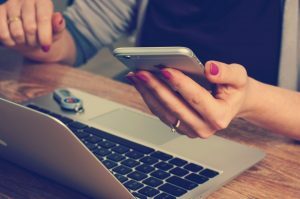 Hiring a team of virtual assistants will help with the handling of incoming calls, scheduling appointments, preparing your documents, and other daily functions. With the help of an Officense virtual assistant, you will be able to focus on your clients, provide them with a better service, and build a stronger relationship with them. Officense will assist both small and large CPA firms in reducing their workload, costs, and offer value-added services to meet clients changing demand and expectations. While no online tax services or big firms can promise a receptionist will answer their calls 24 hours a day, Officense allows you to do just that. At Officense, we help YOU give your company the consistent, professional image you and your clients deserve. 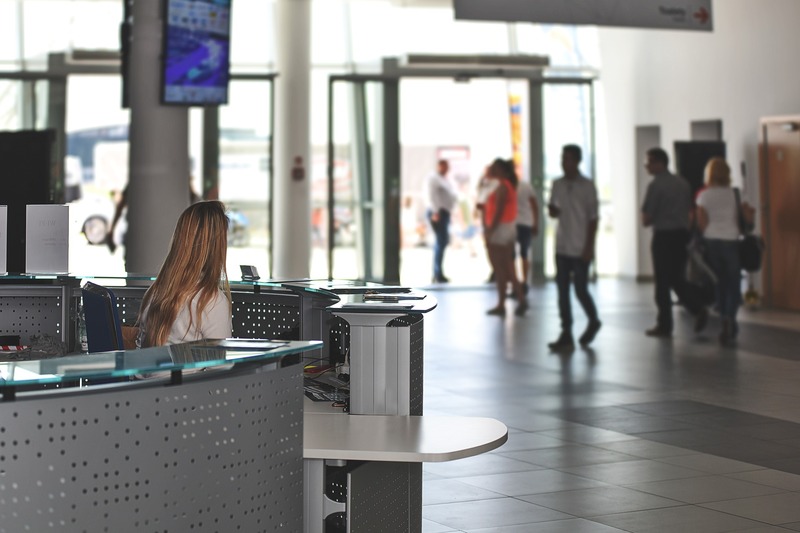 Our on-site receptionists will greet your clients in a friendly manner and project a professional image for your company 24/7. For further information, give us a call at (410)814-7500.